Welcome to the official website of the Uganda High Commission in Canberra. I wish to warmly welcome you all to the website of Uganda High Commission in Canberra, Capital City of the Commonwealth of Australia. 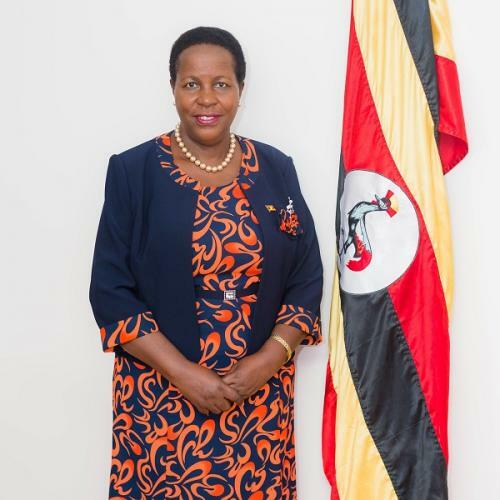 The Mission of Uganda High Commission in Canberra is to Promote and Protect Uganda's National interests and positions in Australia and the other countries we are accredited to ie New Zealand, Papua New Guinea, Fiji and Solomon Islands. We strive to further strengthen the cordial relationship existing between the two sides. We closely follow the Foreign Policies, Economic Development Agenda and seek to create opportunities for cooperation between Uganda and Australia plus the other countries we are accredited to. We provide information, guidance and consular services to anyone interested in Uganda for Investment, Trade, Tourism, Mining, Education, Technology Transfer and Aid among others in our implementation of Commercial Diplomacy. One of the core responsibilities of the High Commission is to deliver the best possible counsel to Ugandan citizens in Australia, New Zealand, Papua New Guinea, Fiji and Solomon Islands who may be in need of the High Commission's assistance for any reason. We encourage you to register with the High Commission. The staff of the Uganda High Commission consists of competent Foreign Service Officers, supported by a team of locally recruited staff. There are three Honorary Consulates of Uganda in Australia (Sydney, Melbourne and Perth) plus one in New Zealand. Uganda, popularly known as "The Pearl of Africa." a name given by the famous British Prime Minister Sir Winston Churchill in the early 1900s, is one of the most beautiful countries on earth. I encourage you to visit Uganda to enjoy this beauty and to participate in Development Programmes for the mutual benefit of both sides.